The strength of our economy is questionable at best these days. The unemployment rate is hovering around 10 percent, the Dow seems to go everywhere but up, and let’s not even discuss the international markets right now. One school of thought touts a conservative “circle the wagons” approach for businesses during rough economic times. Gather close everyone and everything you hold dear and hang on tight to weather the storm. This strategy includes reducing or altogether cutting those business programs that some shortsighted executives often see as less-crucial to maintaining the overall bottom line. These typically include advertising, public relations and other marketing functions that don’t necessarily show an immediate or obvious return on investment (ROI). Unmoving water can easily become stagnant and so do businesses that don’t continue to market, innovate and, consequently, remain top-of-mind with their consumers. This may seem like a logical move for many small businesses during a lag in the economy’s growth. Granted, a business will save money by omitting these essential business functions, but what will the ultimate cost be in lost revenue without them? Will the business be able to grow? Doubtful at best. Unmoving water can easily become stagnant and so do businesses that don’t continue to market, innovate and, consequently, remain top-of-mind with their consumers. The annals of the marketing world are fraught with businesses that employed this survival method - eking their way through tough times only to find that their competitors continued their marketing programs and are now occupying the market share they once did. Consider the cautionary tale of cereal producers Post and Kellogg’s during the late 1920’s. Heading into the Great Depression, Post held a significantly larger cereal market share than arch-rival Kellogg’s. On October 29, 1929, the stock market collapsed, along with Post’s confidence in consumer demand. Post slashed its marketing budget and rode out the Depression resting on its laurels - hoping everything would be just as it was once the economy recovered. Kellogg’s recognized the opportunity Post was presenting and steamed full speed ahead, doubling their advertising budget and launching an aggressive advertising and marketing campaign. The wisdom of this decision was questioned by more than one industry analyst at the time; however, Kellogg’s shrewdness in business needed no critique. Kellogg’s ramped up advertising and marketing efforts effectively filled the void left by Post’ retreat. As a result, Kellogg’s became the more recognized name, instilling a stronger sense of confidence in its customers. By the end of the Great Depression, Kellogg’s emerged as the dominant player in the cereal wars posting profits of 30 percent. Their aggressive marketing and advertising campaign paid off, cementing their status as the world’s number one post-depression era cereal manufacturer, a distinction they still enjoy to this day. Kellogg’s now manufactures their products around the globe and sells them in more than 180 different countries. They currently hold half of the international market and sell 40 percent of all cereal purchased in the United States. Kellogg’s understood that consumers continue consuming even during depressions. When it might seem like the world is falling apart, people still need food, haircuts, plumbing, electricity, appliances, etc. The difference is they begin to look for better deals and more value-added products. Furthermore, Kellogg’s wasn’t the only company during the Great Depression that recognized the marketing opportunities in a down market. At least six other companies maintained or increased their investments in advertising and other marketing functions through the market collapse. Their names were Campbell’s, Coca-Cola, Ivory, Kodak, Wrigley and Lipton. All of them emerged strongly from the Depression and are today, the leaders in each of their respective categories. A McGraw-Hill Research study supports these real-world results. It showed that four years after a downturn, companies that maintained or increased their marketing communications during an economic slowdown, on average, experienced 14 times more growth than companies that employed the “turtle method” and cut back. Will you follow the Kellogg’s example and seize the opportunities presented by a gloomy economy? Or “turtle up” like Post and spend the better part of the next century trailing the wiser competition? If your company decides to choose the former, Grid is ready to help! 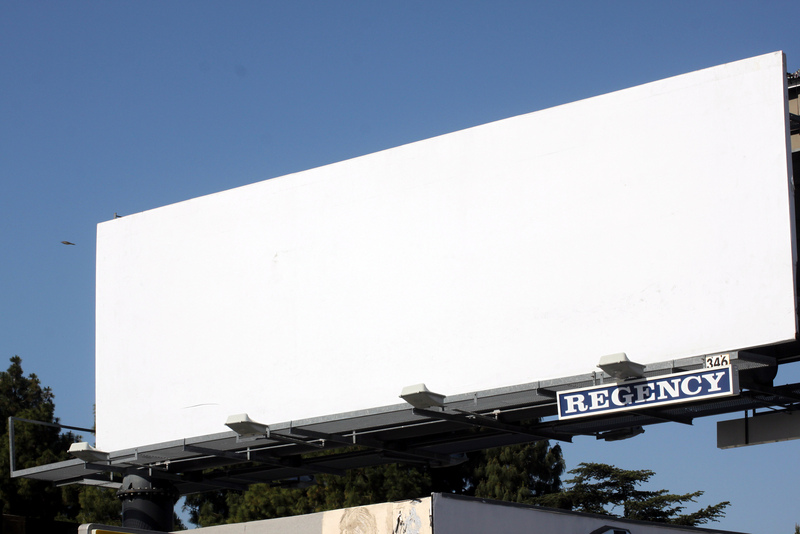 Do Billboard Advertisements Really Work?